This EP is like a “short” vinyl version of “Misanthropie ist der einzige Weg zur Reinheit” album 2008. First different version of this EP (original 2-track ep) were includes in “Lebensabend” boxsed set 2008. All music and lyrics written and recorded by Sergiy Fjordsson. This was the first vinyl release for Moloch. 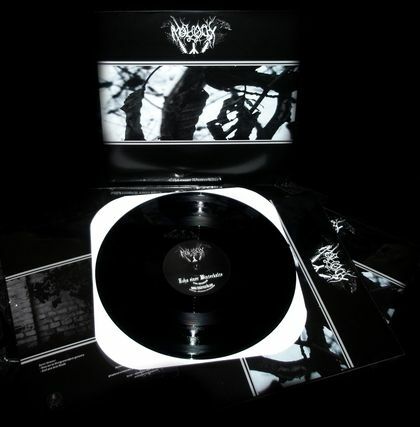 Runic Records (Usa) released this EP as Heavyweight 180 gram Black 12'LP vinyl limited to 500 copies. Front cover photo made by Sergiy Fjordsson in the woods of Ploskyriv. Cover design by Alexander "Hugin" Wieser. 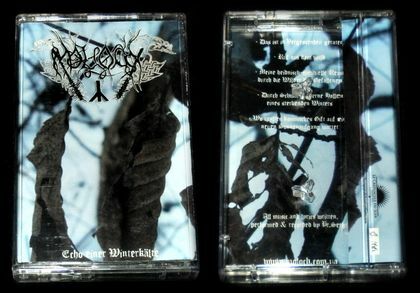 Although the VINYL press run has constituted 500 copies, in fact only 150 copies that Sergiy received as his royalties were spread, because the label wasn't concerned with the distribution of the release at all, and after the release of Eliwagar and Pagan Heritage it has ceased its existence altogether. This is cassette edition of Le Crépuscule du Soir Productions (France). Limited to 66 copies with 2 sided pro-cover inlay. Printed in 2011. Here are no Digital and CD versions for this EP at the moment. But due all tracks were presented on “Misanthropie ist der einzige Weg zur Reinheit” album 2008, you can find it directly on CD/Digital versions of this album.